Here is a theme based on the Office 2007 Black colours. 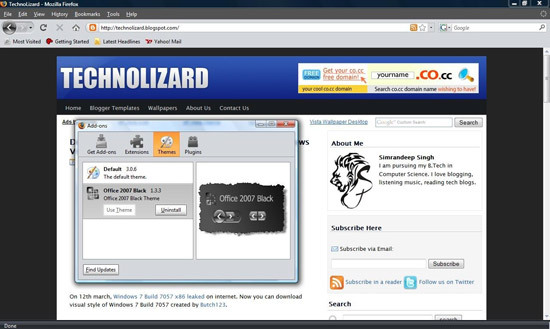 It will give your Firefox browser a look of Office 2007 Black. If you like dark themes you will surely love this one.